Buy tickets for No Doubt at Eventim. 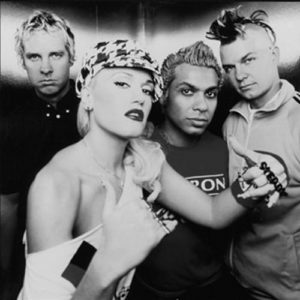 After 11 years of silence, No doubt brought out a new album in 2012 and are now working on a new one! Excited! When is No Doubt back in Austria for one of her concerts? Simply register to our Ticket Alert and be one of the first to know. There are no Fan Reports yet written for No Doubt. Be the first to write a review and share your experience with others. Founded in 1986 No Doubt saw with the album "Tragic Kingdom" published in 1995, their greatest success. The single "Do not Speak" remained for 16 weeks at number one on the U.S. charts and made the tape at once world famous. It was followed by the rather less successful "Return to Saturn", which was, however, recognized by the critics and the sheer dancehall and reggae-heavy "Rock Steady". In 2003, a Best Of, then the band split up to pursue solo projects. 2008 they were found together again, but came - partly due to the great success of front woman Gwen Stefani's solo project - hardly to work. In September 2012, the new album finally appeared. They are currently working on their next album. To date they have sold over 33 million albums worldwide.